Slotland is a group best known for their unique, often unconventional casino games. They run an online casino filled with their own propriety game titles, which has been in operation since 1998. Recently, Slotland decided to venture into the mobile gaming industry, and now provides a small but unique selection of mobile casino games. Notably, it is the only mobile casino that accepts US players. Slotland mobile casino software is designed to be no-download, so players just point their WAP enabled mobile web browser to the casino’s mobile page to access the games. The software works with most older mobile phones, as well as Blackberry devices and handsets powered by Windows Mobile. 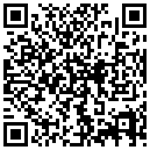 Slotland mobile casinos are now also compatible with more advanced phones like Android and iPhone. The game selection offered by Slotland mobile casino software is dominated by slots, but includes a Jacks or Better video poker game as well. Like their online casino games, Slotland mobile casino games are connected to a single Slotland progressive jackpot, giving players the change to win some seriously large prizes while they play. 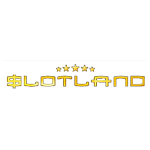 Follow the link below to learn more about Slotland mobile casino games, and to sign up a new player account.